"New York: circa 1896. There just isn't a whole lot to occupy the minds of young society matrons. 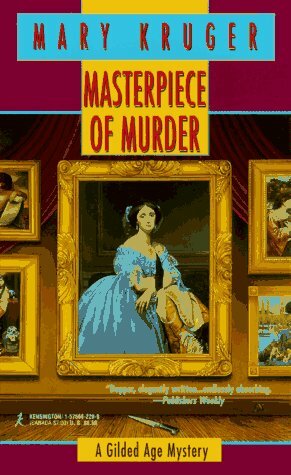 So Brooke Develin is understandably heartened when she's asked to help figure out who killed the curator of the Manhattan Museum of Art--and to clear his name of theft. Handy that her husband of three months is a New York City detective, serving on a force purged of corruption by Teddy Roosevelt. The pair are an unstoppable crime-solving duo. Edith Wharton's New York wouldn't have tolerated this kind of behavior from a heroine, but it's fun all the same." Releasing at the Lower Mainland Bookcrossing March Meetup! Picked up at the meet-up tonight. Looks good. I enjoyed this very much and would definitely read more in this series.